We keep receiving several queries from travellers asking where to get flight itinerary for visa application, so we thought of creating this comprehensive guide for you to help you do this in a simple manner. With an increase in the number of visa applicants for almost every country in the world, embassies are now being all the more careful about who they let into their country, at the same time trying to promote sustainable tourism. This is exactly why submitting all the correct documents with your visa application becomes important to get your visa approved at the first go. For that to happen, you may have been asked to produce a valid flight reservation along with the application form and several other documents. We are here to help you understand where to get flight itinerary and what are the different options available to you. Before we tell you where to get flight itinerary customized for your trip, let us quickly discuss what exactly is a flight itinerary. 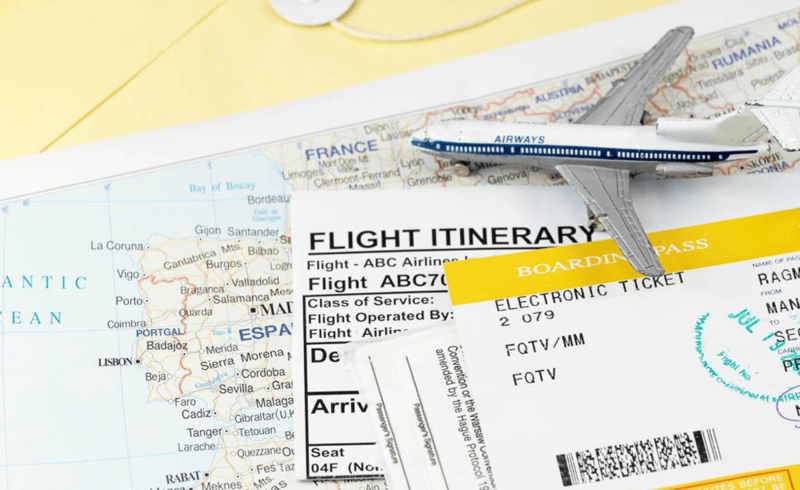 Also sometimes referred to as a flight reservation or a dummy ticket for visa application, a flight itinerary is a document outlining your travel plan, flights and dates in detail. It can be obtained without having to pay the full price of the ticket upfront, and typically contains your personal details and chosen flight details. This is used by embassies for validating the claims you make in the visa application form. So if you have mentioned that you are travelling to a country for only 7 days and think that you can somehow overstay, a cross-check with the flight itinerary will reveal this to the embassy. This ultimately leads to a rejection of your application. It is never advisable to use such means to gain entry to a country and misuse the visa assigned to you. 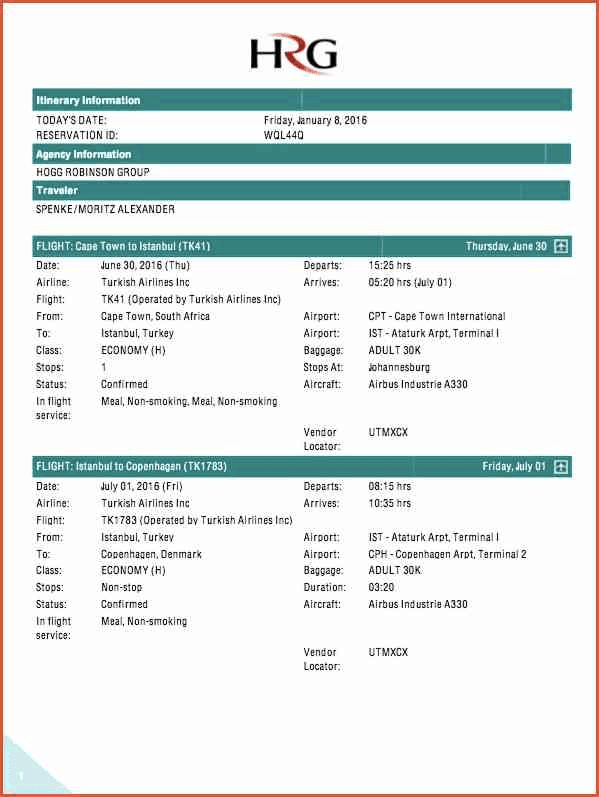 Flight itineraries are also difficult to be forged because a genuine itinerary always comes with a unique reservation ID, using which the embassy can verify your reservation. In case you are worried that just reserving a flight itinerary will not suffice for your visa application, don’t worry! Most embassies themselves do not encourage travellers to purchase a confirmed ticket right away and instead submit only a valid flight itinerary. This is to avoid unnecessary inconvenience and loss of money in case your visa doesn’t get approved or takes a longer time to get processed. This is quite possible in today’s day when embassies get a high volume of applications to process. If you have submitted your application at a short notice, it may so happen that your visa get approved beyond your travel dates. To counter such situations, it is advisable to opt for a flight itinerary for visa application as opposed to a fully paid flight ticket. WHERE TO GET FLIGHT ITINERARY FOR VISA APPLICATION? Now to address the most important question of where to get flight itinerary! A flight itinerary or reservation is not that hard to get if you plan carefully. There are typically two ways to do this and in this section we will explain both options so you can make an informed decision. The first solution for where to get flight itinerary is to directly find an airlines that provides this service. This seems pretty obvious, doesn’t it? But in reality, you may have to do quite a bit of searching and researching before you are able to find an airlines that allows you to get flight itineraries or reservations without buying the ticket. Not all airlines offer this service and even for the ones that do, they may offer it for specific sectors. So you need to find an airlines that will let you get an itinerary for the destination of your choice. Now, this may seem like the easiest thing to do, especially if you crack down that one airlines from which you can get your flight itinerary. But from our experience we have seen that this may not be the best option for all travellers. Why do we say that? Because there are several terms and conditions associated with flight itineraries that your get directly from airline companies. These flight itineraries are mostly valid for not more than a week. That gives you very little time to get your visa application processed. And in many cases, the processing time is longer than a week. So what happens in such a situation? By the time your application is under processing, your flight itinerary has expired. So if the embassy tries to cross-check the reservation using the booking ID, they will not be able to find any valid reservation, leading to a denial of visa altogether. As ridiculous as it may seem, this is reality. Many travellers don’t think this through and then end up with an expired flight reservation and a rejected visa application. You surely do not want to go through this hassle! If you are worried at this point, be assured that there is no need to be! We have another solution to your question about where to get flight itinerary for your visa application! And indeed, a better solution than the previous one. All you need to do is connect with a verified and reliable travel agent that provides flight reservation service for visa application. Your chosen agent will be able to help you get a valid flight itinerary that will not only act as a supporting document for the visa application, but will also be valid for at least 2-3 weeks, giving you enough time to get the visa processing done. This option gives you the freedom and flexibility to also choose which airlines you want to fly with. Have a chat with your travel agent and select one that suits you best. When you are scouting options for where to get flight itinerary from, our consultants at Visa Reservation Services can help you figure it all out. The processes are really simple and all you need to do is pick a package that fits best with your requirement. We have multiple packages that offer not only flight itineraries, but also hotel reservation and travel insurance for visa application. So there’s something for everyone! We are here to help you go through the visa application process in a hassle-free manner and make it more joyful.